Although you can find a heap of online games in the market nowadays, it is rare to see one that has been going steady for over 10 years! So to celebrate this marvelous milestone of the free to play Conquer Online, TQ Digital has prepared a host of exciting events for its faithful veterans and new players, such as the 1st ever World Fighting League contest, where players from over 10 versions of CO will fight to decide who is the supreme champion and earn their spot in the free trip to China! Since it was launched in 2003, Conquer Online has attracted millions of players with its authentic kung-fu elements, oriental fantasy, diverse PvP-based activities, and addictive gameplay. By continuously adding new content, it has been staying lively and prosperous during the last 10 years, and its next decade also looks just as promising, with TQ Digital revealing several new expansions to be launched this year! These additions will bring in a new character, the mysterious Chinese “Kung Fu Master”, and a new massive cross-server PvP battle, the “Kingdom War”! CO’s 10th Anniversary celebration will last from May to mid-June. 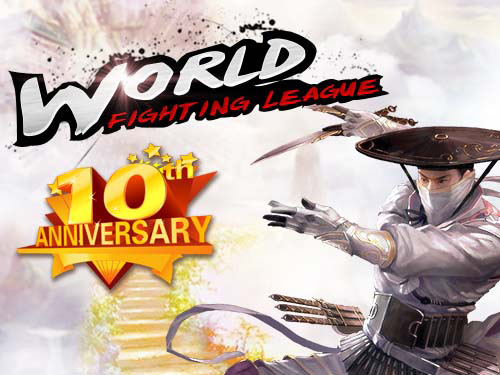 In addition to the WFL contest, there will be a number of other events, as well as generous bonuses and gifts to be had! To accommodate new players, Conquer Online has also opened two new servers, “Reminiscence” and “Reunion_EU”, giving away special Starter’s Packs to boost their journey into ancient China, while all returning veterans can receive a “Welcome Home” gift when logging into their original servers. Starting today at 1 p.m. CST, the Heavy Metal Machines closed beta allows players to experience high-octane vehicular combat for Windows PC.